I Received an Attendance Letter... Now What? The role of the Truancy department is charged with the oversight of student absenteeism within the district. Marysville School District Attendance Policy stipulates that daily attendance is required for all Marysville School District students. Regular attendance is the key to completing course work on time. Parents are encouraged to make school the priority when scheduling appointments during the school day. If a student has a scheduled appointment during the school day, please provide the school with a written note from the person or clinic where the student was seen to excuse that absence. Under state law (RCW 28A.225), students are required to attend school full-time, without unexcused absences, skips or tardiness. When a student accumulates seven (7) days of unexcused absences in any month (one day consists of more than half a school day) or ten (10) days of unexcused absences in a school year, they may be referred to a Community Truancy Board, possible resulting in a Becca Petition being filed with juvenile court where sanctions can be imposed. These sanctions may include essays, study club, community service, detention and detention alternatives. Parent fines may also be imposed of up to $25 for each day of unexcused absences from school. 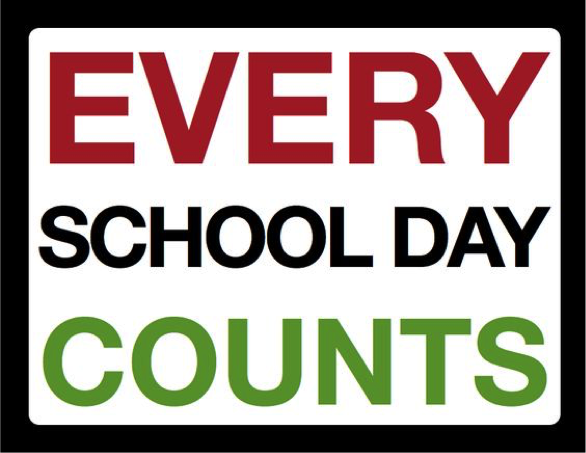 If a student misses twenty (20) consecutive days of school, they will be withdrawn from their school of attendance. The Juvenile Justice Act of 1977 decriminalized running away from home and established residential centers to care for your runaways. There hasn’t been room in all the facilities to care for the children, leaving many out-of-control youths living on the streets, at risk of victimization and criminal involvement. To address this problem, the Becca Bill was created by former Governor Mike Lowry and former Attorney General Christine Gregoire. The Becca Bill is named for Rebecca Hedman, a young Tacoma girl who was murdered while living on the streets. According to former Governor Lowry’s office, the purpose of the bill is to “empower parents to help their children when they have run away or when their child’s substance abuse or mental health problems place them in serious danger of harming themselves or others.” One aspect of the bill requires that all school districts track the number of student absences and notify parents when their children have violated attendance procedures. If you are concerned about your child’s attitude toward school and about his/her attendance record, contact your child’s teacher, counselor and/or school principal. With the combined insights into your child’s needs and interests, we can work together to design an individualized plan to help your child stay in school. Parent Contact: After one unexcused absence, the parent or guardian must be notified. An unexcused absence means that a student has failed to attend the majority of classes in an average school day and that the parent has not excused the absence by calling or emailing the school or sending an email. Parent Contact: After two unexcused absences, the school must make contact with the parent or guardian which is usually by letter. Conference: By the fifth unexcused absence in a month or the equivalent of five days by periods, the parent and student are invited to a conference. Contempt: If a student has additional unexcused absences following a court order, they may be required to appear and be found in contempt of court and may be sentenced to community service, juvenile detention or a detention alternative. Parents who fail to get their children to school may also be fined or ordered to volunteer at the child’s school per RCW 28A.225.090 (3). Accrued fines shall be used exclusively to enforce this law. Documentation: If a court assumes jurisdiction, the school district shall regularly report to the court any additional unexcused absences by the child [RCW 28A.225.035 (13)]. If you have received a letter regarding unexcused absences it could be due to a 3-day, 5-day or 10-day accumulation of unexcused absences. You will see attendance detail on the back of the letter. Please note that two (2) periods are considered one (1) day for elementary students, and four (4) periods are considered one (1) day for secondary students. If you believe that one or more of the days should have been excused, contact your school's office. If the letter was generated due to 5-days or more of unexcused absences, it will invite you to a conference with school staff for the purpose of gathering information and taking data informed steps to reduce your student’s truancy.